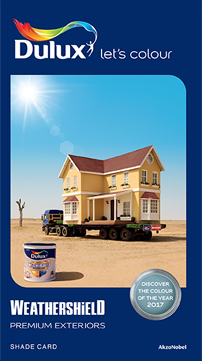 Best experience on Portrait mode. 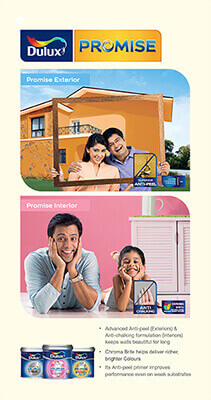 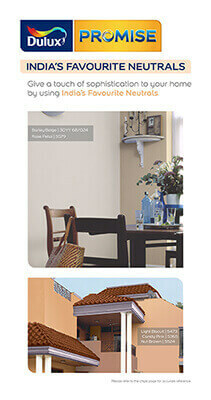 "Value for Money" paint for Interior & exterior walls. 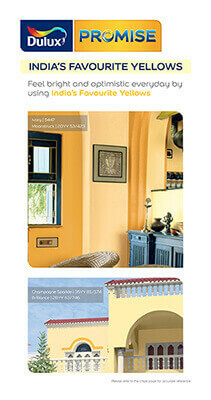 Now choose the right colour for your home from a collection of India’s Favourite Colours. 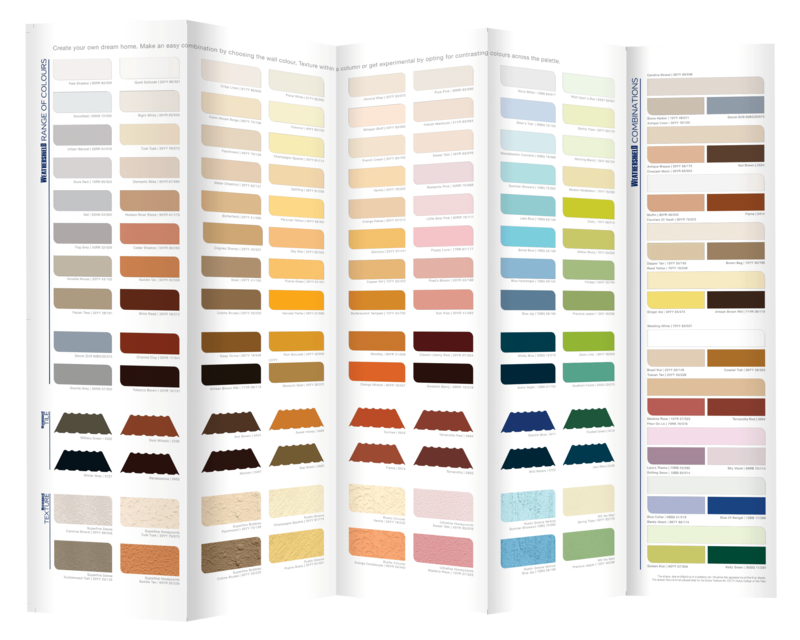 Now choose from a wide variety of colours for unmatched decoration and protection of wood and metal surfaces. 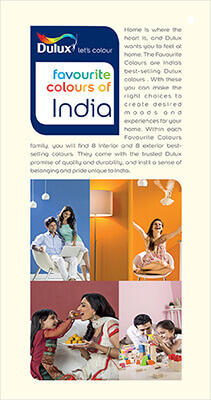 Now express yourself with colours, patterns & finishes inspired by different fashion styles. 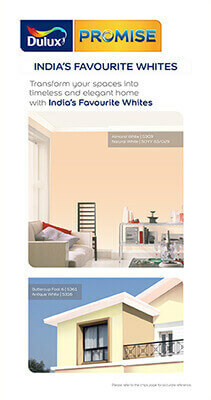 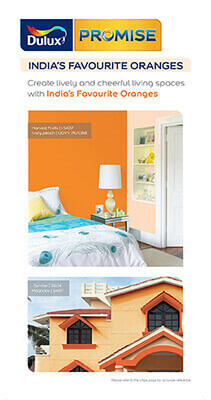 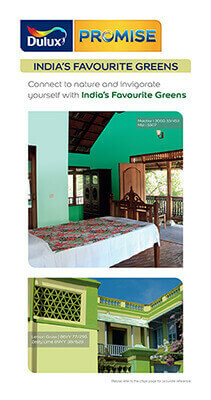 Now bring home the moods of exotic destinations in your home by choosing Dulux Supercover Colours of the world. 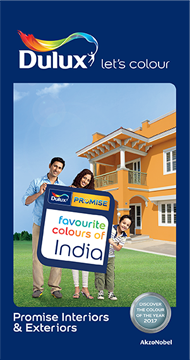 We have made every effort to make the colours on screen as accurate as possible. 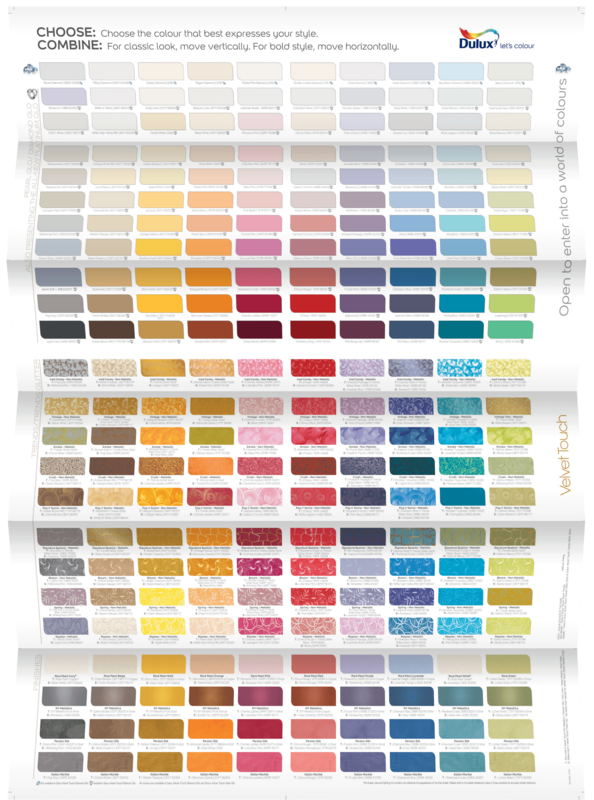 Unfortunately, we cannot guarantee an exact colour match of the on-screen colour to the colours of the actual products and the colour appearing on screen should not be relied on as being such. 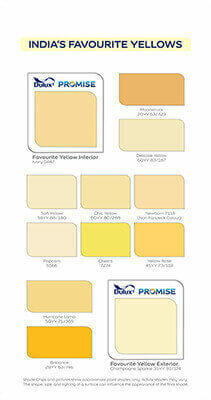 Colours on screen may vary depending on your screen settings and resolution. 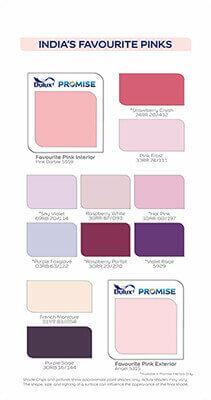 If you are unsure of a colour, we recommend that where possible you buy a sampler pack from your local store. 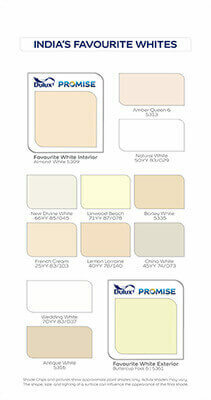 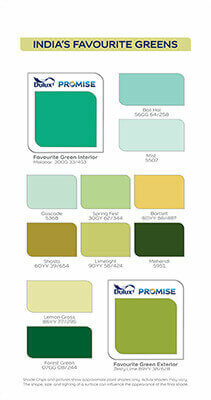 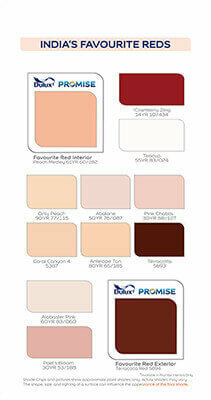 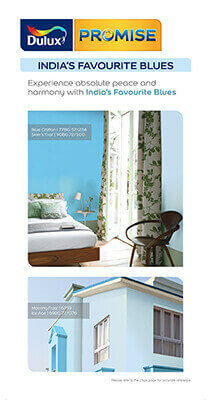 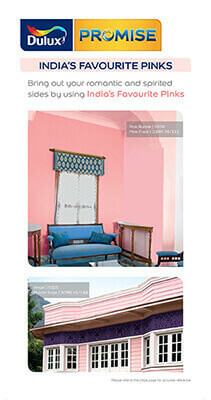 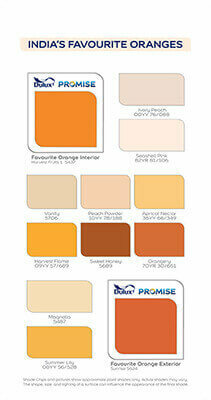 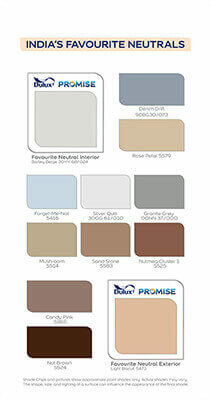 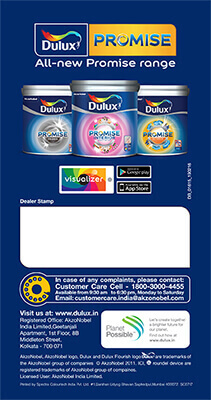 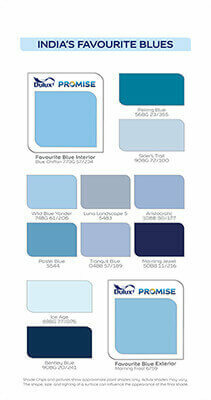 Dulux Weathershild brings 4 exclusive colour palettes recreated basis the architectural designs and lifestyles. 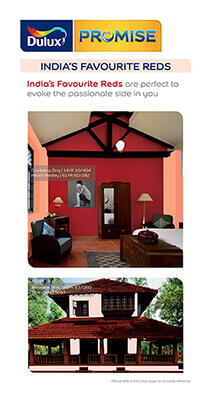 Now choose from Classical elegance, Modern contemporary, Tropical retreat and Coastal charm and make your dream home come true.